The sole surviving picture of Site-15's short-lived, in-house Synth-Pop band [Red Act ED]. 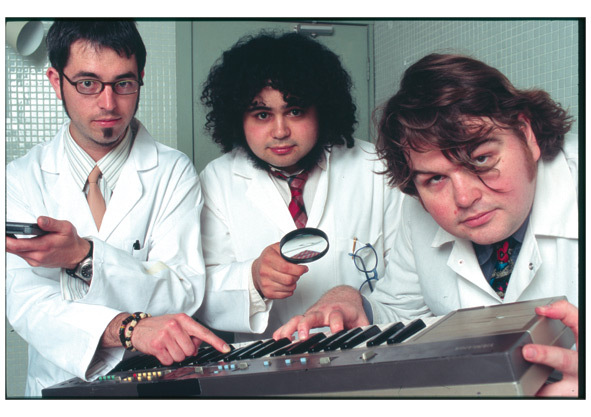 From left to right: Researcher Nyka, Dr. ███████, and Research Assistant Stevens. Inter-Foundation Publications: Nyka, Jacques. Project DIAMOND: Securing, Containing, and Protecting in the Digital Age. Foundation Comp. Journal. 45(09):620-626. Japanese and Russian branch versions.